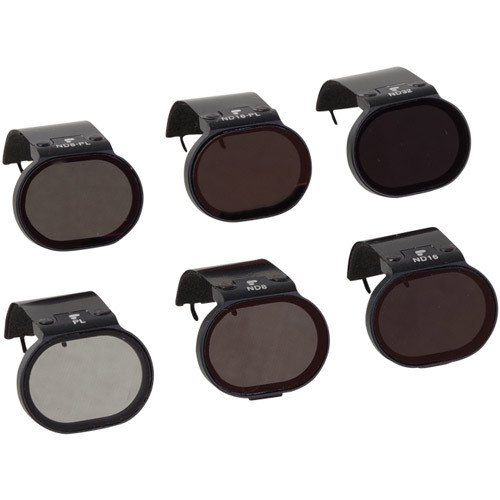 The PolarPro DJI Spark Prime Filter 6-Pack is constructed with high quality materials that enable you to capture the best image quality possible and that last a lifetime. PolarPro prides itself on its craftsmanship and attention to detail when it comes to building filters, and we made no exception with our filters for the Spark. 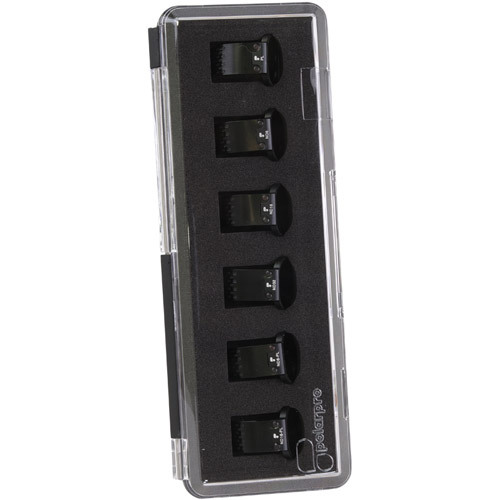 Included in the Prime 6-pack is a fixed PL, ND8/PL, ND16/PL, ND8, ND16, and ND32 filters. Each filter is constructed with our HD glass for razor sharp clarity. Crafted with an aircraft grade aluminum, the frame is designed to be lightweight yet extremely durable. We back all its filters with a lifetime guarantee and promise you will be satisfied with your filters. We guarantee these filters will be 100% compatible with the DJI Spark camera’s start-up initialization and have been stress tested to be within the maximum weight-limit that the gimbal can safely handle. The PolarPro DJI Spark 6-Pack is perfect for pilots who wish to enhance their image quality and capture smooth cinematic content. The fixed Spark Polarizer filter is pre-set to a horizontal polarization angle. This is the angle that will reduce the broadest amount of glare. 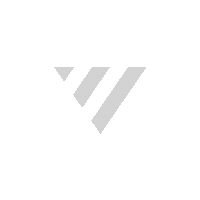 It is designed to be extremely easy to use with no adjustments required. 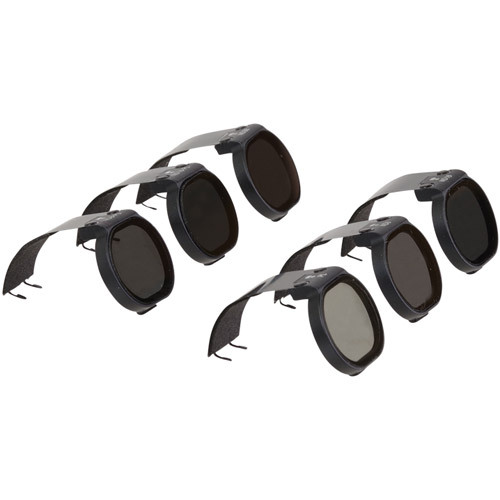 The Polarizer helps reduce glare and increase color saturation and contrast. The ND8 Spark Filter reduces the camera's shutter speed by 3-stops. The purpose of an ND filter is to slow shutter speed and give your video a smooth cinematic look. Generally, you will use an ND8 on a cloudy to partly cloudy day for best results. The ND16 Spark filter reduces shutter speed by 4-stops. With this filter, you will get the best results on partly cloudy to sunny days. The ND16 will slow the DJI Spark’s shutter speed to give your videos a smooth and cinematic look. The PolarPro ND32 filter for the DJI Spark reduces shutter speed by 5-stops. This filter should be used on very bright and sunny days. This filter will reduce the shutter speed and leave the color profile unchanged. The ND8/PL filter reduces shutter speed by 3-stops and polarizes the scene. This filter enables a slower shutter speed and increased color saturation and glare reduction. The Polarizer is fixed horizontally which covers a broad amount of glare. Great for partly cloudy days. The ND16/PL filter reduces shutter speed by 4-stops and polarizes the scene. This filter enables a slower shutter speed and increased color saturation and glare reduction. The Polarizer is fixed horizontally which covers a broad amount of glare. Great for sunny days.